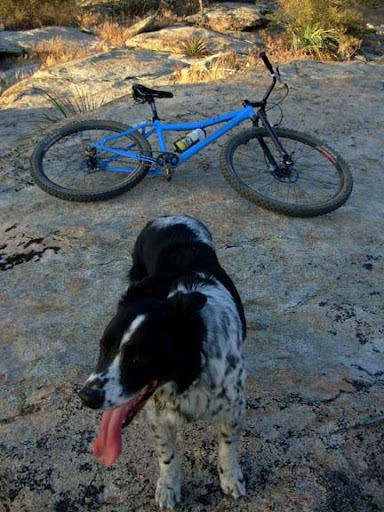 Siren Bicycles is a handbuilt American mountain bike company. We strive to build elegant, beautiful frames & complete bikes. This blog chronicles the inspiration & creative process of our work. Please check out our website for more info & hard numbers on the bikes. Who are we? here’s the faces & names. Some of us are full-time Sirenites, others are part-timers; but every one of us are in this passionately & contribute equally important creative bits in the overall Siren picture. Brendan has a diverse background in aerospace, fine art, and manufacturing. Additionally, he served 16 years “in the trenches” at local bike shops & loves dogs. He does not particularly like pina coladas or getting caught in the rain. 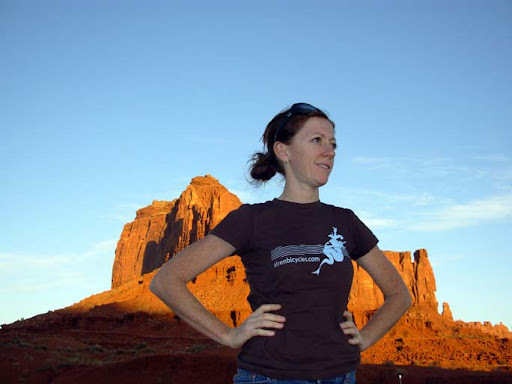 Mary– 2008 Tour Divide racer…. 2,711 miles on a Song 29. Mary is the X chromosome of Siren; a major design contributor & the inspiration for the first Siren- the Fifty-Five. 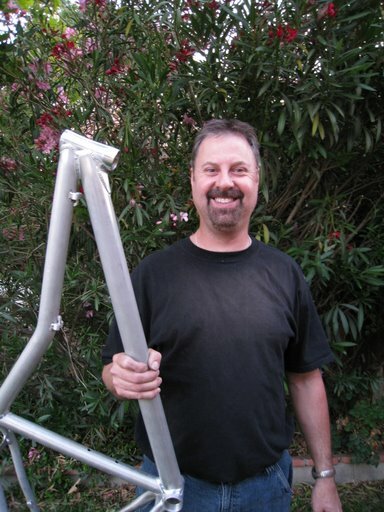 Phil– engineer, manufacturing guru, master of all things quantitative. Phil’s manufacturing experience is deep & always seems to have a solution to our manufacturing problems. He knows his stuff in the shop & in the singletrack as well. Matt’s blend of energy & level-headedness has been one of our great assets. He has been known to host 24-36 hour design & fabrication binges- a sure fire cure to the bike world’s equivalent to Writer’s Block. Besides being a great Tinkerer, it is also a well-known fact that 4 out of 5 people love riding with him. Mike- TIG welder & teacher, lover of “the puddle.” Mike once said “I’m into welding like some people are in to, say; coffee.” Mike’s attention to detail & skill with a torch cannot be overstated. 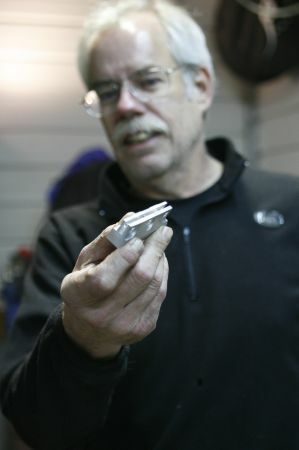 He’s constantly pushing his process limits & learning the metallurgy & science behind the weld. He is the reason our welds are the best in the business. Dave has 10 years of singletrack experience & loves the zen-like state one can only achieve when seeing the trail from bottom-bracket level. looks like you guys have been having fun on your bikes. I hope the shop works out well for you. well man i was in the 24 hrs old pueblo race this past weekend and well i saw some of your bikes and man were they beautiful. took a sticker and proudly put it on my ibook. haha keep up the good work. Crapper. Send me a pic, please! The tour riders are here just built Bruce’s Siren from shipping, Its a ripper! Met Cannon today, Mathew Lee just snapped off a couple of cold Kokonees while beading his tubeless. Great vibe in town we host the BBQ tomorrow night. God speed to the select few on sirens. I think i rode with that tall drink of water in the first pic this weekend! Oh wait, that’s hot sauce. Awesome bikes! I like reading about the people and what’s happening at the shop. Keep it up! It was a pleasure to meet you and Mary at the opening of Ride the Divide and the chit chats at Sea Otter. Looking for an email address to contact you? hi, bobby here from the Philippines, i really like your designs, but couldn’t afford them. but i use a fifty-five here in our country on a regular MTB steel frame. i would like to ask what gear combinations do you use on your fifty-five’s on trails. 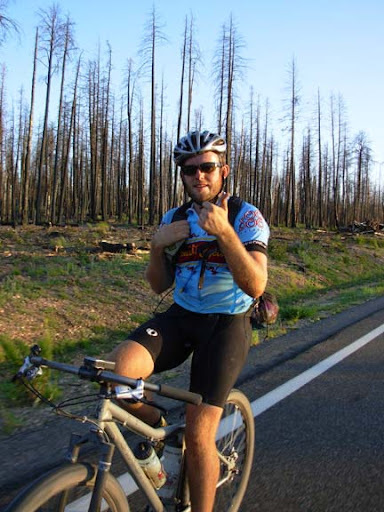 i am a bicycle messenger and i use a 36×17 on road, on my fifty-five. I use the same gearing on a fifty-five as I’d use on a 26″ bike, ie, a 26″ drivetrain. Here in the mountains, I use a 32×18 or so. Hope to see you soon for an mtb ride!